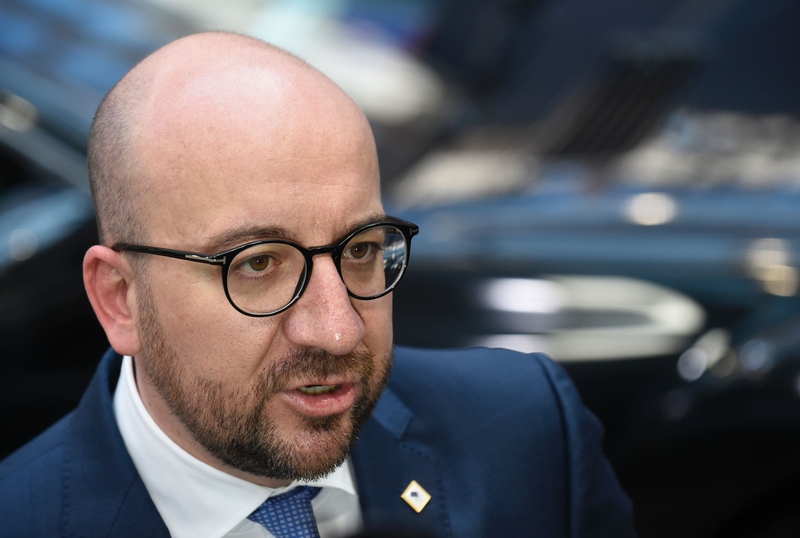 After Tuesday's attacks, which killed and injured dozens at a Brussels airport and subway station, Charles Michel, Belgium's Prime Minister, responded by saying that "what we feared has happened," and that the nation needs to "be calm and show solidarity." But as Belgium has become a hotbed for terror in Europe, this is not the first time Michel has had to respond to threats of such events. Soon after Michel took office in 2014, the weapons used in the attacks on the Charlie Hedbo offices in January of 2015 were traced to Brussels. In response to those attacks, Michel vowed in a signed statement to help in finding the perpetrators, and said that Belgium "strongly condemns this atrocity." Faced with this act of barbarism where women and men were brutally murdered, the Prime Minister presented the President of the French Republic François Hollande on behalf of the Belgian Government's condolences to the families of the victims and to the French people. Belgium will provide the competent French authorities Belgian collaboration services in tracking and arresting the perpetrators. Freedom of expression and freedom of the press must be guaranteed in our democratic state. We cannot tolerate this brutal attack against constitutional freedoms. the Belgian Government strongly condemns this atrocity. Following a terror raid shortly after the Hedbo attacks, Michel said that operation "shows the government's determination to fight those who want to spread terror." Now that Brussels has become not just a source of terror, but a site of it, the government must become even more determined.